By air or mechanical means. 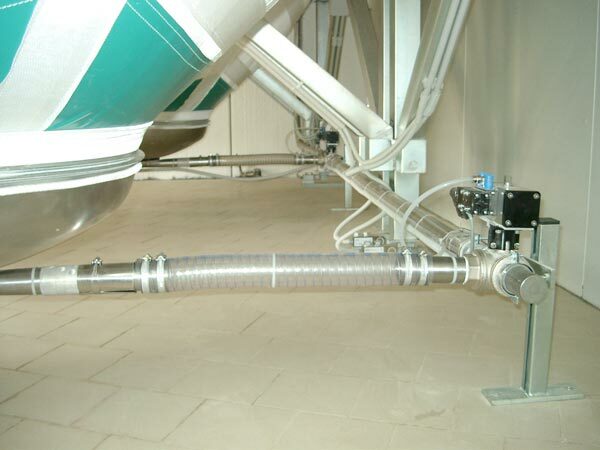 Pneumatic conveyors by suction and under pressure are used to convey powdered products, even over long distances, without product residues in the pipes. 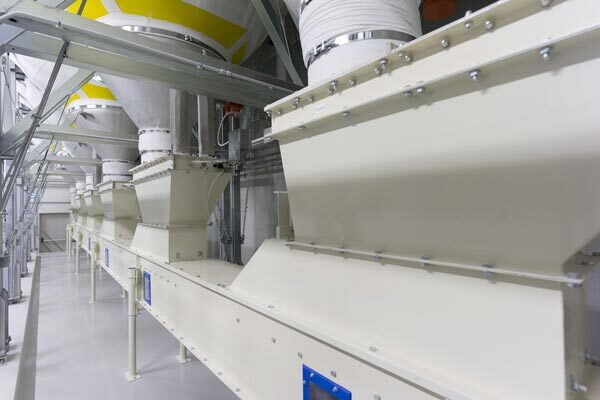 Mechanical conveyors operate by means of screw extractors of various capacity controlled by inverters. 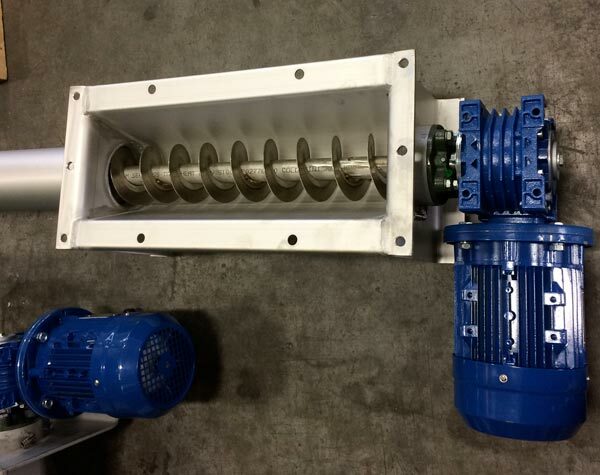 Suction, compression and mixed type. 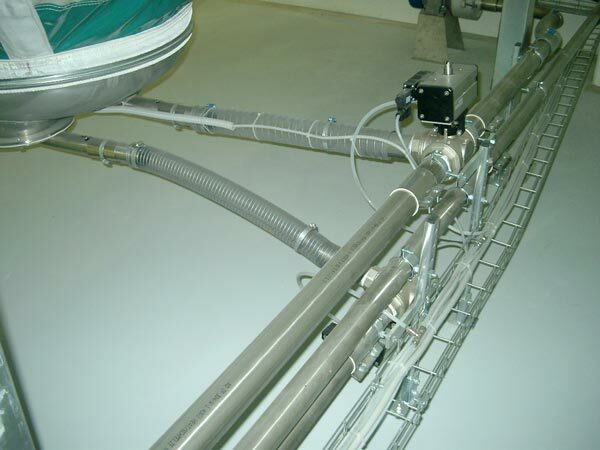 Can travel from a few meters up to 100 m.
Conveyor capacity is variable depending on needs.